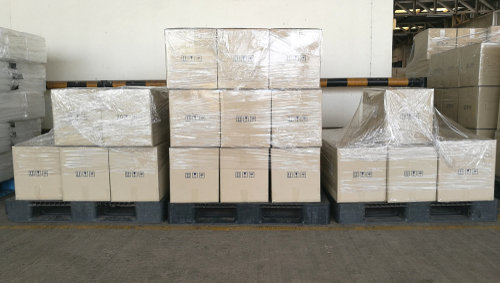 Moving products overseas is much easier when you choose plastic pallets. They’re affordable, reusable and durable, which saves your business money. Here’s a list of some benefits of using plastic pallets for international shipping. If your business plans on doing a lot of shipping overseas, all those handling and shipping materials can quickly add up. That’s why it’s important to reuse your shipping materials. This saves your company money and it benefits the environment. You don’t want to have to buy new materials every time a new order comes through the door. 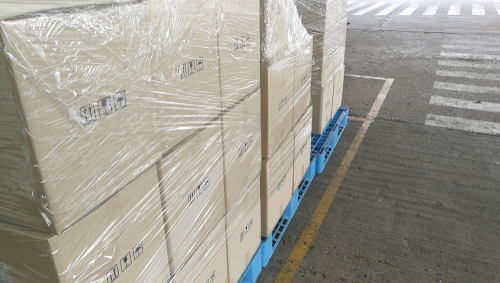 Have your customers or business partners return your plastic pallets when the shipment is complete, so you can keep using your pallets for years to come. If you want to save even more money, consider investing in used plastic pallets. You can find a great deal on used plastic pallets and they’re typically just as effective as new pallets. Just make sure you’re purchasing your materials from a trusted shipping container reseller. You’re free to reuse your plastic pallets again and again thanks to their lasting durability. Plastic pallets make for a great investment because they will hold up over time. Wooden pallets can chip or warp over time, but plastic pallets retain their original dimensions long after their first trip around the world. You don’t want your pallets breaking down overseas, so choosing plastic pallets can give you more peace of mind. Unlike wooden pallets, using plastic pallets for international shipping means you don’t have to worry about dealing with the “Bug Stamp,” more formally known as the ISPM 15, which regulates wood packaging materials used for international trade. The purpose of these regulations is to prevent the spread of wood-borne insects, some of which may be carrying bacteria or diseases. But with plastic pallets, your shipping materials will be ISPM 15 exempt. This reduces the shipping timeline, ensuring your packages pass customs with ease. Shipping internationally can be expensive, considering it may take several days or weeks for your shipments to arrive at their destination. To keep your shipping costs low, you should reduce the weight of your shipment as much as possible. Plastic pallets tend to weigh less than wooden pallets, so you don’t have to pay extra for shipping. Using lightweight shipping materials also makes them easier to handle. You need to make sure your shipments are secure when shipping overseas. Whether it’s by air, land or sea, there’s bound to be some turbulence as your packages make their way from one country to the next. To keep your shipments secure, it’s best to use nestable shipping materials. This means the materials interlock, fitting together like a puzzle. This reduces the chances that your packages will move during transit, which is especially important if you’re shipping hazardous materials. If the boat or truck starts to shake and your materials aren’t nested together, there’s always a chance that something could spring a leak or burst open due to a change in position. Even if your shipping materials are reusable, there’s always a chance one of your customers or business partners could end up keeping the pallets once they’ve completed their journey. If you or one of these parties decides to get rid of one of these pallets, you can rest assured that they’re completely recyclable. This limits your company’s effect on the environment. You can also mention the fact that your company uses recyclable shipping materials as a way of luring more environmentally-conscious clients. As a business owner, you need to do everything you can to protect your employees when they’re on the job. Plastic pallets tend to be some of the safest shipping materials on the market. They have smooth edges that won’t snag on a person’s clothing. You don’t have to worry about your employees accidentally giving themselves a splinter or cutting themselves on a loose chunk of wood. This means your employees may not have to wear gloves when handling plastic pallets. This isn’t true of wooden pallets, which can easily splinter after several trips. Plastic pallets hold so many benefits when it comes to international shipping. They don’t cost a lot of money and you’re free to reuse them, which can have a big effect on your company’s bottom line. Save money, support the environment and keep your employees safe with used plastic pallets.